When one person smokes, the whole building smokes. 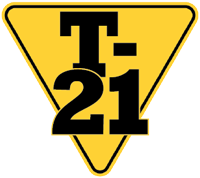 Secondhand smoke cannot be kept from drifting into neighboring apartments . It travels under doors, through air ducts and along plumbing. Air filters are not effective. 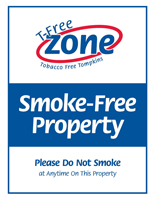 The only way to keep your apartment smoke-free is to make your building smoke-free. 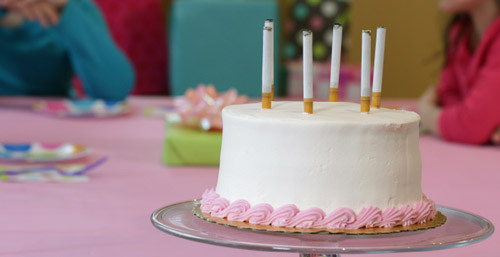 Ask your landlord to explain the smoking policy before you sign a lease! Exposure to secondhand smoke is a serious health risk for many people, and smoke-free outdoor places provides full accessibility for them. Smoke-free and tobacco-free outdoor areas are more welcoming and appropriate for families and for those who are trying to quit or stay quit. Licensing retailers who sell tobacco products, tobacco related products, and smoking paraphernalia is an evidence based way to reduce access to these products. Click to learn more. Statement delivered to the Health & Human Services Committee, Tompkins County Legislature, July 18, 2016. Pharmacies portray themselves as neighborhood centers for health and wellness, yet those that sell tobacco are providing a substance more addictive than heroin, and one that kills half of those who use it as intended. It's time to end tobacco sales in pharmacies and stores with a pharmacy. 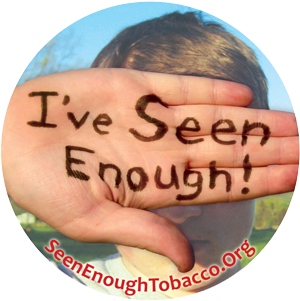 Reality Check (RC) is New York State's youth action program to fight tobacco use by building leadership skills and awareness of industry marketing tactics. RC youth are typically grades 8–12 and from a mixture of school districts. Each RC group plans its own local actions and activities, all the while working alongside RC groups in every NYS county, and as part of a national and international youth voice to beat back Big Tobacco's efforts to recruit "replacement smokers." Smoke-Free Movies website. "Tell Hollywood to rate smoking 'R'. One little letter will save a million lives." 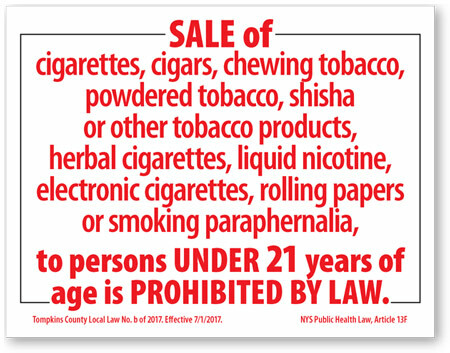 The use of e-cigarettes is now prohibited indoors at any workplace, restaurant or bar in Tompkins County. Visit our E-cig page for details.